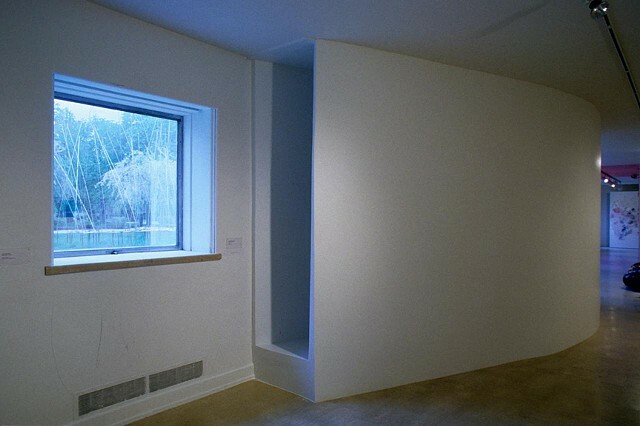 In this space the viewer approaches and has to make a conscious decision to enter the space. 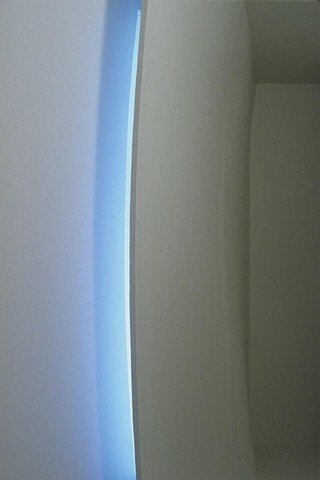 A space that appears infinite allows the viewer to enter into this world. The walls curve further and further into the space. 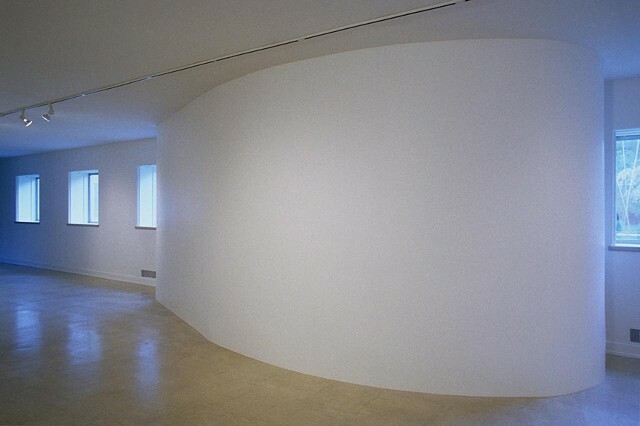 As the viewer approaches the end of the hall the space curves in upon itself only to open up into a larger valley of white space. 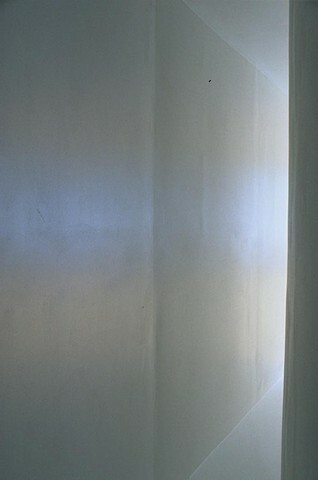 As the viewer turns to leave there is a gap between two walls that allow a cast of natural light.